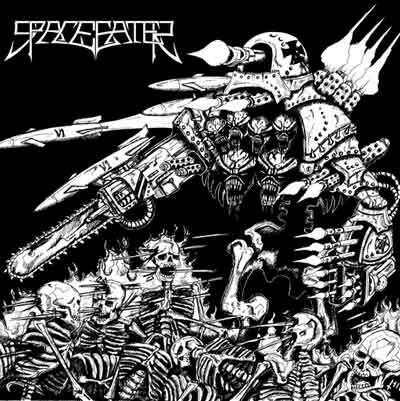 The idea for creating Space Eater was born in late 2003, when former members of After Life (a very successful Iron Maiden tribute band) Boško Radišić (vocal) and Stanislav Šaršanski (guitar), created a band that would create and perform their own songs. In 2004. Karlo Testen (bass) and Nemanja Pavlović (guitar) joined in and soon followed by Nikola Roglić (drums). 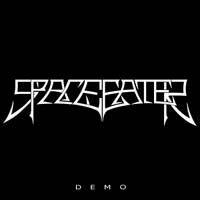 They started doing small gigs and soon their songs “Merciful Angel”, “Bombs Away” and “Beyond Time” became very popular among followers of Serbian underground heavy metal scene. In the meanwhile Vladimir Bogdanović replaced Nikola as drummer. Their main influences were Testament, Agent Steel, Overkill i Heathen. 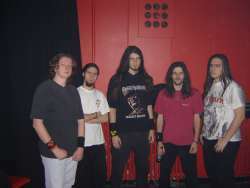 In February 2005. they made their first demo recording and also qualified to perform in prestigious Serbian rock festival “Zaječarska gitarijada”. In January 2007. 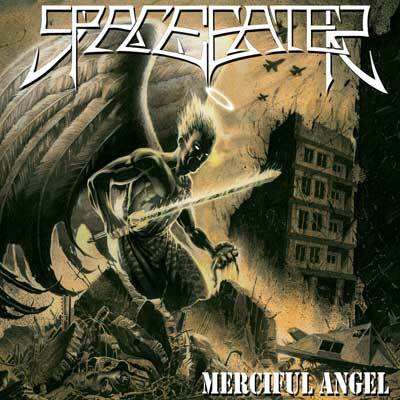 Space Eater signed for Swedish label I Hate Records and couple of months later their first full album “Merciful Angel” appeared.